Real-time systems allow the realisation of time-critical measurement, regulation and automation applications. This means that a real-time system guarantees the execution of a task within a predefined time. Real-time systems are especially required for automated rework processes: the produced pieces must be corrected exactly at the point that was detected at the previous measurement. If the regulation system reacts too late, the piece is not reworked at the appropriate point. 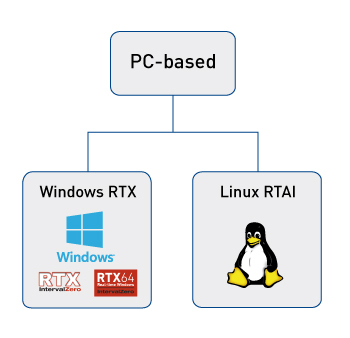 The interference-free ADDI-DATA PC boards come with real-time drivers for Windows and Linux. They are robust and highly precise and thus especially suited for applications in the harsh industrial environment. 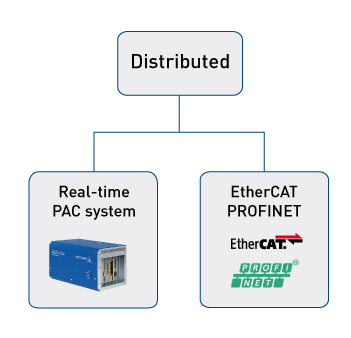 Classical PAC systems (compact PCs) with Linux RTAI as operating system as well as the field bus systems for EtherCAT and PROFINET are distributed real-time solutions. After the press process the real-time PAC system MSX-Box measures the thickness of the flake boards with a precision of +/- 1 mm. The MSX-Box is equipped with the analog multifunction board APCI-3120 for the acquisition of laser signals and with the counter board APCI-1710 for position detection. 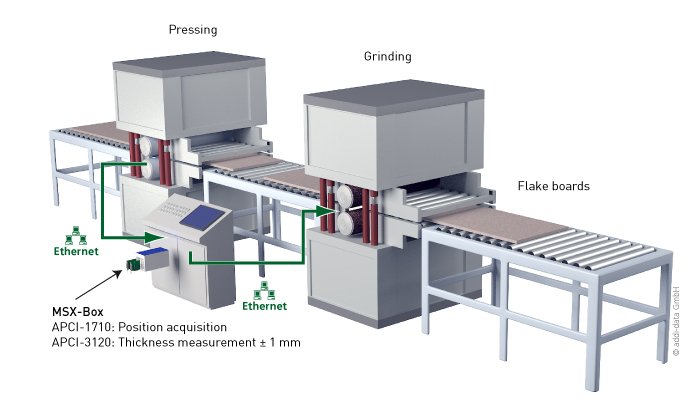 Measurement and position values are acquired in real time for data consolidation, in order to position the grinding belts exactly and to execute rework precisely. The acquired data is evaluated to adapt the amount of material and glue before the press process.